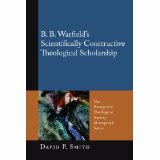 Smith pursues his project by developing several distinct strands of Warfield’s work as an author, strands which converge in the conclusion that there is at best (or at worst) only an incidental and partial reliance on Reidian realism, so that nothing that Warfield claims regarding Christian theology may be said to depend on it. The scene is set in the first instance, in a number of interesting chapters which appropriately set the scene, chapters on historiography and philosophical and theological changes in the nineteenth century, and a resume of the course of Warfield’s life. He rather takes for granted that the reader will know already what Scottish Common Sense Realism is. He considers Warfield’s own response to these charges in Chapter Four ‘Princeton and Warfield: Responses to Contextual Issues’. Here he considers the early years of Princeton, and the fact its theological outlook predates the Scottish Enlightenment. There may be ‘correlation’ at places between Scottish Realism and the Princetonian theological outlook, there, is no dependence. (Smith is fond of ‘correlation’ as an expository term, by it I think he means ‘partial correspondence’. The railway may run alongside the canal for part of its length, but the canal does not depend on the railway, it ‘correlates’ with it. In fact it was there long before the railway.) Of course if Jonathan Edwards had not had fatal effects from his small pox vaccine things might have been different. He would certainly have brought original ideas to the seminary. Smith’s point is that common sense realism ‘simply has nothing to say about many of the doctrinal matters that are organically united to the Confession’. (95) Further, Warfield is alert to the fact that arguments have premises, and that these premises often have a philosophical character. They are ‘presuppositions’ in one sense of this polymorphic term. The remaining four chapters all have a connection with apologetics. Apologetics provides the context for Warfield’s conception of systematic theology discussed in Chapter 5. Warfield thinks of the truths of systematic theology to be organically connected and connected to all other truths, for ‘truth is organic and unified’. (121, 123) But this makes Warfield sound rather like Leibniz, and Leibnizianism would certainly have been an original idea at Princeton. The truths of Christian systematic theology are no doubt consistent with ‘my lawnmower is broken’ but truths about my lawnmower are hardly organically connected with the truths of the creed, simply consistent with them. So I think there may be some exaggeration here, or perhaps a failure to see that Warfield was not committed to a doctrine of internal relations. I think this may be relevant to estimating Warfield’s relation to Van Til and ‘presuppositional’. But it hard to exaggerate the importance of apologetics for Warfield or the exalted terms in which he writes of it. Apologetics is not subordinate to systematic theology, much less to practical theology. 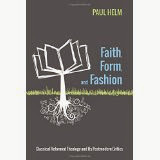 It is the ‘culminating department of systematic theology’. (195) That is, it establishes: the possibility of systematic theology by establishing the being of God as personal, the creator of all things, and their preserver and governor; the religious nature of man; of the supernatural factor in history; the divine origin of Christianity, and the trustworthiness of the Scriptures as God’s revelation of God for the redemption of sinners. (200-1) Of these five areas, as we know, Warfield himself devoted much of his time and talents to elaborating a defence of the authority and inspiration of Scripture. In his eyes such a defence involves the use of the reason, not as a mere mechanical fact-acquirer, but as right reason, involved in the proper weighing of all the relevant data according to their true measure and worth. So apologetes cannot reason a person into right views of Scripture, or into the kingdom. The regenerating and illuminating work of the Spirit are necessary for a proper appreciation of the evidence. Nevertheless there are views of Scripture which are according to reason. So there is an important interplay between the subjective, the state of the enquirer, his stock of beliefs, his values etc., and the objective, the knowledge that there is to be had of the world of time and space, of nature and grace. But this faith that the prepared heart yields – is it yielded blindly and without reason, or is it yielded rationally, and on the ground of sufficient reason? Does God the Holy Spirit work a blind and ungrounded faith in the heart? What is supplied by the Holy Spirit in working faith in the heart surely is not ready-made faith, rooted in nothing and clinging without reason to its object; nor yet new grounds of belief in the object presented; but just a new power to the heart to respond to the grounds of faith, sufficient in themselves, already present to the mind. Behind these differences with the Dutch is an intricate network of issues to do with the nature of faith and assurance, to which we might turn on a later occasion. The last chapter concerns the application of Apologetics. The chief development of the critique of the Ahlstrom (and Van Til) argument is to reassert Warfield’s emphasis on the noetic effects of sin. Dr Smith does not go into what this means, but I take it that it includes chiefly the willful distortion or neglect of data and their grounds (unconscious or otherwise). (250) What Warfield refers to as the subjective side of believing and knowing distorts the apprehension of data (the objective side) on account of the working of what the Apostle Paul refers to as ‘the lusts of the mind’. There is a great deal of evidence produced that this is Warfield’s view. 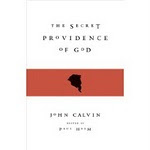 In addition he gives recognition to what the author calls ‘the historical character of truth’. (242) What one misses in Warfield is at length discussion of how the noetic effects of sin variously affect the study of science and other intellectual disciplines. The account presented in these overlapping chapters, is engaging and in general persuasive. It seems to me that Dr Smith establishes the distinctively Christian character of Warfield’s thought in apologetics, especially the noetic effects of sin. This fact alone is enough to refute Ahlstrom’s and Van Til’s outlooks. Smith shows that this note sounds throughout Warfield’s writings, not only in his elaborate articles, and more popular journalism, but also his addresses to students and faculty of Princeton Seminary reprinted in Faith and Life. One question that this raises is how this fact should affect our estimate of the differences and similarities of Warfield to Kuyper and Bavinck. It may be that the Dutch also miss Warfield’s emphasis on the effects of sin on the mind, as Van Til evidently did. All being well, we shall reflect on Warfield and Dutch Calvinism in a later post. In this post I have tried to identify the main claims of Dr Smith regarding Warfield. For what it is worth I think that the material establishing the noetic effects of sin is stronger than his argument that the influence of Scottish Common Sense philosophy is only partly correlated with Warfield’s theological views. Such a partial correlation is what is to be expected. After all such philosophy offers a general account of concept and belief formation and the ‘basicness’ of certain beliefs. Besides his establishing his important thesis, in doing so Dr Smith has incidentally drawn attention to other features of Warfield’s outlook which I hope in time to take a look at.